Rwanda's President Dangles The Possibility Of A Third Term : Parallels Paul Kagame is the only president the country has had since 2000. He's already served two terms, and voters support amending the constitution to allow him to stay in office another 17 years. 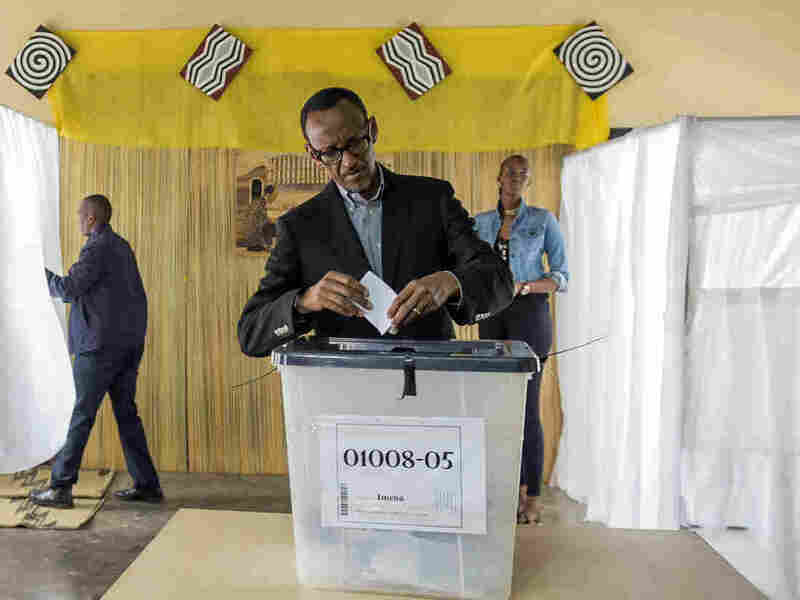 The Web version of this story originally stated that Rwanda's President Paul Kagame has been the country's only president since the 1994 genocide. In fact, Pasteur Bizimungu served as president of Rwanda from 1994 to 2000.